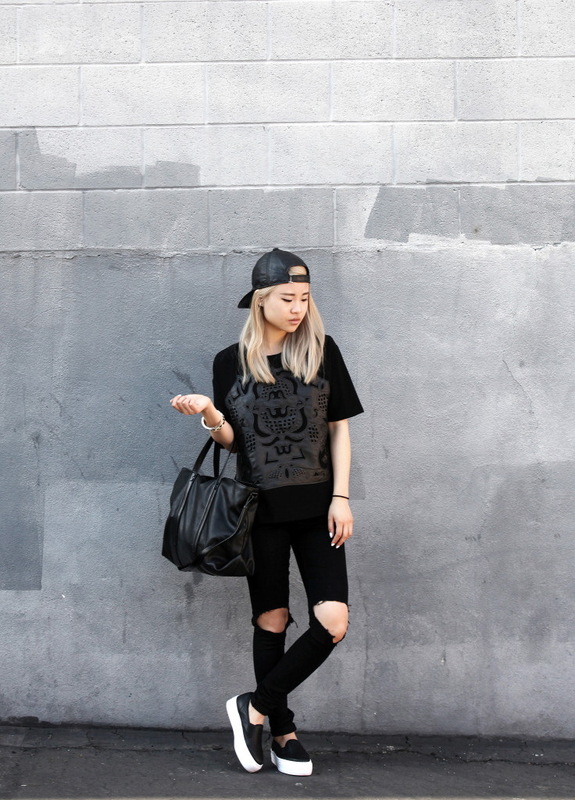 No matter what people say, but worn and ripped jeans remain popular. In today's post, I want you to take a look at the best ways and styled to wear this cool trend in 2018. 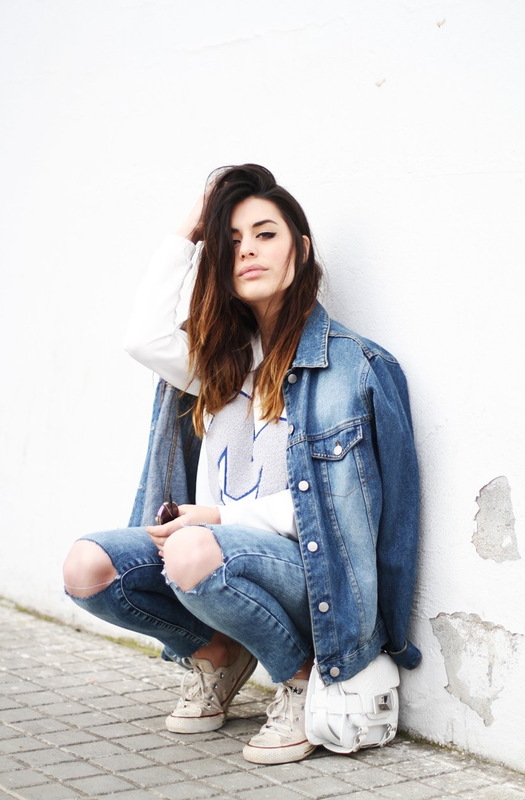 I have uploaded amazing street style outfit ideas with ripped jeans that you will have fun recreating. There is kind of workwear inspired touch that makes these bottoms look original and very individual. Keep it bold and try them on with your statement and fashionable street style staples. This year many brands offer us serious look tattered at the knee area or slashed throughout. Speaking of fit and shape, then there are sophisticated designs of boyfriends and skinnies. If you want yourself a casual look, then try them on with graphic/ one-colored or bright printed top and utility jacket. Those of you who want a smart-casual touch then I advice you to try on smart-casual essentials, like a cool blazer. If you still wondering what tops and outerwear to wear with denim pants, then I suggest you to look through these images. There are thousands of ways you can try these jean trousers. You can dress them up and dress them down, all depends on where you are going. All in all I think it's time to check out cool outfit ideas that will surely make you look very individual and off-duty cool. That's a sweet wintry look that consists of a cozy beanie, adidas pullover, ripped skinny bottoms, black coat and statement plaid scarf. That's a sporty Tomboy look that features a long black coat, light grey pullover, statement scarf and white hi-top sneakers. That's a stunning grunge look that comes with a grey beanie, knitted wrap cardigan, dark emerald tee, slim fit extremely shredded jeans and suede, grey booties. 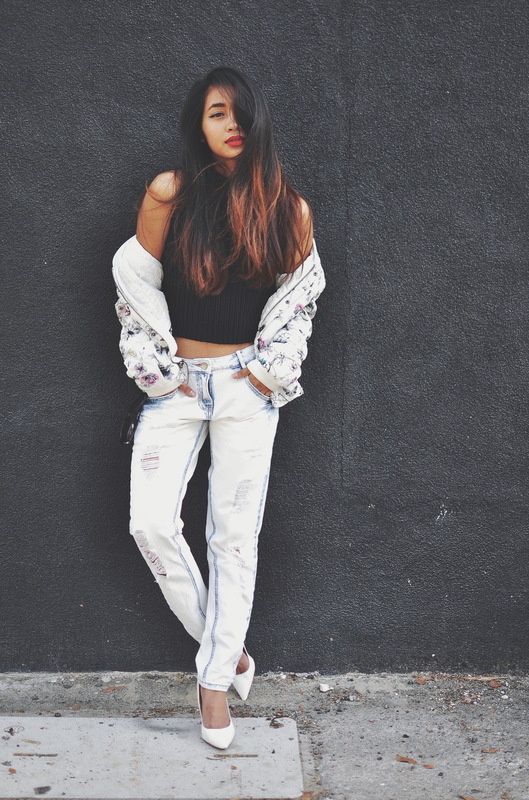 There is a special grunge touch in this look. Here we see a veil beanie that is styled with long, black, pinstripe suit jacket and skinny jeans. Those ladies who want to achieve a biker inspired look, then I suggest to go for a black biker jacket, lightweight white shirt and blue skinnies. These ripped styles are great for wearing with white shirt and pale camel, wrap coat with a draped collar. Pair light blue version with chunky black booties. I personally love the Tomboy touch of such appearance.